Community Network Foundation lands major grant to improve health for at-risk patients. We are excited to share with you that Community Health Network Foundation has been awarded a $2,560,494 grant to improve health outcomes for the most at-risk patients Community serves. The funding comes almost a year after we submitted an application to the Centers for Medicare & Medicaid Services (CMS), requesting grant support to address the unmet health-related social needs of Medicare and Medicaid beneficiaries in our East Region. Our proposal included innovative ways we could find partners to help bridge the gap between clinical and community services providers, addressing social needs that include housing instability, food insecurity, utility needs, interpersonal violence and transportation. Community is one of only 32 organizations in the country—and the only organization in the state—selected to receive the award, which is part of CMS’ three-prong Accountable Health Communities (AHC) model. That means Community will now have the financial resources needed to improve clinical-community collaboration by screening high-risk beneficiaries, identifying social needs that may impact their health, and connecting them with the right community resources that could help. In order to do that, Community will lead a partnership with the Eastside Redevelopment Committee, an organization representing 50 businesses and community-based organizations focused on improving health through high-quality support services, educational programs and workforce development. In coordination with The Jane Pauley Community Health Center, Community Physician Network, Community Behavioral Health and Community Hospital East Emergency Department and inpatient care, we will serve an expected 70,000 residents on the east side with an intent to reduce health care costs for high-risk beneficiaries who receive navigation services. The East Region was selected for this work because forty percent of that region’s population received Indiana Medicaid services in 2015, and the emergency room utilization rate in this area is above the national average. A significant number of adults and children in this region live below the poverty line, and the average life expectancy is 7.5 years less than the north side of Indianapolis. Our important work to reduce unnecessary utilization of our healthcare services, while also improving outcomes for our most at-risk patients, begins under CMS guidance on May 1, 2017. We promise to keep you informed of the progress we are committed to making on behalf of every important life this grant funding will impact. We’re pleased to announce another milestone in our growing collaboration with Walgreens, one that will result in a dozen new front doors for conveniently accessing Community care. As of mid-2017, Community will exclusively own and operate healthcare clinics at 12 Walgreens retail locations in the Indianapolis area—each location will be branded Community Clinic at Walgreens. For the past three years, Community has had a collaboration with several Healthcare Clinics at Walgreens in central Indiana. Under the new agreement, Community will assume operational responsibility to provide clinical services at 12 in-store clinic locations beginning in June, with opportunities for future expansion. Employees of these clinics will be Community employees, the clinics will adopt our CareConnect Epic Systems electronic medical record technology with MyChart access, and the clinics will carry Community Clinic at Walgreens signage. These select Walgreens-based clinics will effectively become fully integrated Community primary-care locations. Community Clinic at Walgreens patients will benefit from a streamlined continuum of care, with easier access to other Community facilities should they need any follow-up care or desire to establish a primary-care relationship. Meanwhile, existing Community patients will gain additional convenient and fully integrated care sites, with adjacent pharmacy services when they need them. From the start, our collaboration has been about increasing access to care and making it easier for people in the communities we serve to get well and stay healthy. This latest announcement follows last month’s transition that brought Walgreens locations to our East, North and South campuses, and made Walgreens’ 8,200+ pharmacy locations the most cost-effective choice for those on Community medical plans. Since that transition, our team members have filled nearly 11,000 prescriptions at Walgreens, and we understand most have had a positive experience. We also know some have experienced some issues—please know we are working diligently to ensure all employees and their families have easy, cost-effective access to the medications they need. If you have questions about the pharmacy benefit transition, please email Nikki Dawson in the Office of Patient Experience or call 317-621-1874. We’re continuing to explore even more ways to build our connections and improve the experience we provide our patients and employees. We’ll keep you posted as new innovations emerge from our collaboration. Thanks for all you do to embrace change and innovate new ways to serve our communities and fulfill our mission! 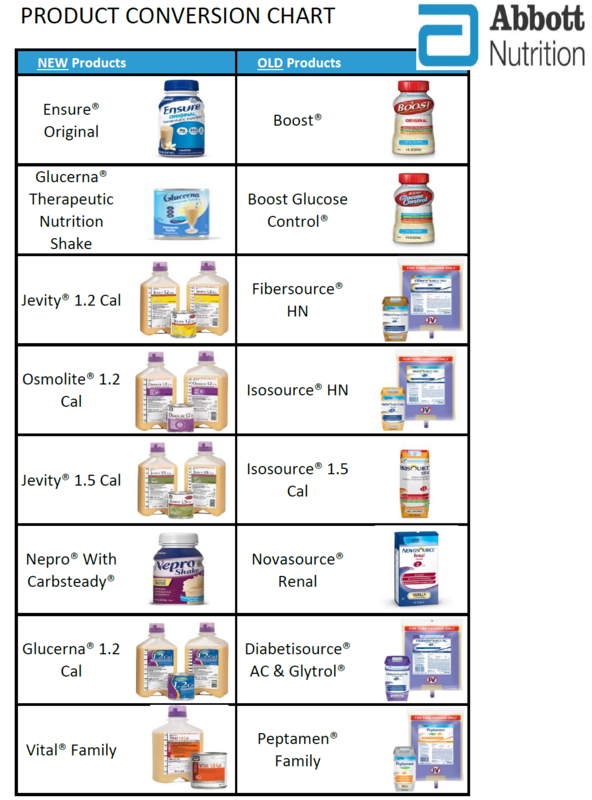 CEO, Community Visionary Enterprises, Inc.
Community Health Network has signed an oral supplement and enteral feeding contract with Abbott Nutrition and will be moving away from Nestle Nutrition for our adult and pediatric products. We are currently phasing in these new products, with some products already starting to arrive on patient units. 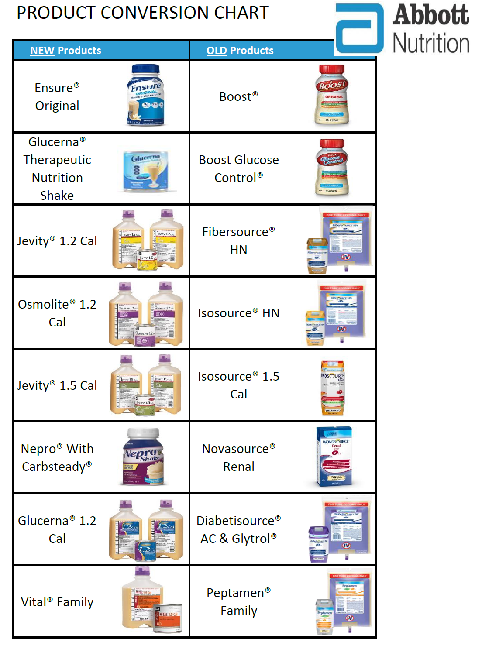 To assist you with the conversion to Abbott products, we have included some of the formulary replacement of products below. A dietitian at your location will be able to provide updated copies of formulary cards upon request. A patient was admitted for a “Right Middle Finger Mass Resection” procedure. Another procedure “Release Right Trigger Finger” was performed. The correct procedure was also performed after the patient noticed the mass had not been removed. The consent was written and was signed “Right Middle Finger Mass Resection”. Improved Adult Cryoprecipitate Orders Go-live on April 18 at 6 p.m.
CHNw blood banks only stock five-unit pools. Previously, it was not clear whether single or pooled units were being ordered. Cryo preparation errors have been made because of miscommunication with lab. Never an option for cryo: is removed. This is a view of the improved order set. The orange numbers correspond to comments above. For questions, please contact Kim Waters at 317-621-5670 or kwaters2@eCommunity.com. On March 31, 2017, our beloved friend and colleague, Allan Arkush, passed away at his home after a long illness. His wife, Sharlee, is an oncology navigator and has been with Community Health Network since 2012. Dr. Arkush graduated from the Chicago College of Osteopathic Medicine and completed his internship and general surgery residency at Doctors Hospital in Columbus, Ohio. He was in practice for over 44 years, most all of them on the west side of Indianapolis, starting in 1984 at Westview Hospital (later Community Westview Hospital). He served as Chief of Staff from 1987 to 1988 and Chair of the Surgery Department in 1986-1987, and again in 2001-2007. Dr. Arkush served on the Westview Hospital Board of Trustees 1991-2002 and in 2013 and 2014, and as medical director of Westview’s Advanced Wound Care Center. He was certified in general surgery by the American Osteopathic Board of Surgery, for which he served as a clinical and an oral examiner. He was Vice President of Clinical Performance for Community Health Network’s West Region, a member of the network’s Quality of Care Committee, and chair of the Disclosure Committee. He was a former chair of Westview Hospital’s Bylaws/Credentials and Ethics Committees, and a former member of Suburban Health Organization’s Credentials Committee and member of the Advisory Committee of the National College Surgical Tech program. Over the course of his career, Dr. Arkush has served on numerous organizational and professional committees, all in service of furthering the mission of exceptional patient care and surgical education. Dr. Arkush delivered numerous lectures and was a published researcher. He was a member of the teaching staff at Lake Erie College of Osteopathic Medicine in Erie, Pennsylvania, Midwestern University in Downers Grove, Illinois, and Marian University College of Osteopathic Medicine in Indianapolis, Indiana. For his contributions in educating future generations of surgeons, he was named Westview Hospital Post Graduate Training Program Trainer of the Year ten separate times. The American College of Osteopathic Surgeons (ACOS) in 2015 named Dr. Arkush the Charles L. Ballinger Distinguished Osteopathic Surgeon for his outstanding accomplishments and leadership in the field of surgery. He received the first ACOS Presidential Award in 1991 for his outstanding organizational leadership and excellence in improving the quality of osteopathic surgical education. In addition to ACOS and AOBS, Dr. Arkush was a member of the Indiana Osteopathic Association, for which he served as trustee. He served on the Credential Committees for Managed Health Services and the Suburban Health Organization, the Surgical Tech Advisory Board for National College, and was Surgeon Champion for Community Health Network’s National Surgical Quality Improvement Program. Dr. Arkush was actively involved with Indianapolis’ Mozel Sanders Foundation, an organization which seeks to supplement the needs of the less fortunate with scholarship programs, mentor services, and youth empowerment projects. He served on the board of directors and the planning committee for the annual Thanksgiving Dinner. In 2008, he was named the Mozel Sanders Foundation Humanitarian of the Year. Please join me in sending condolences to his family, friends, and colleagues at this difficult time as they mourn their loss and celebrate his life. Robert Dale "Bob" Arnold passed away peacefully at his home in southern Indiana on February 15, 2017. He was born in Moore's Hill, Indiana on March 13, 1924. He was valedictorian of his high school class before attending Indiana University, where he received his undergraduate degree in 1944. He received his medical degree from Indiana University School of Medicine in 1947. After serving in both the Army and the Air Force, he returned to Indianapolis to establish a private medical practice in obstetrics and gynecology. One of his proudest accomplishments was to have delivered 17,144 babies during his nearly 50 years of obstetrical practice. In 1948 he married Jessie Marie (Suzannah) Arnold and together they had five sons and one daughter. They were divorced in 1966. He married his current wife and life partner, Neva Y. Arnold, Ph.D., in 1966 and she worked with him in various roles in his medical practice for over 50 years. 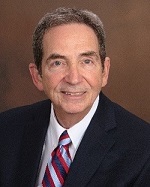 Dr. Arnold was a charter member and past president of the medical staff at Community Hospital East, and a charter member and past president of the Sertoma Club of East Indianapolis. He was also a past president of the congregation and Chairman of the Architectural and Building Committee at All Souls Unitarian Church, and he served Central Indiana Planned Parenthood as a physician, medical director, and on the board of directors. Bob combined two passions, travel and nature photography, into his most significant hobby and pastime. He traveled to all 50 states and over 50 countries. He and his wife undertook five photo safaris to Africa, and also traveled to Australia, Antarctica, Venezuela, New Zealand, and the Galapagos Islands, among other exotic locations, to photograph wildlife and nature. Bob was an avid Hoosiers fan and was a charter member of the Hoosier Hundred. Dr. Arnold is survived by his wife, Neva, his sons Michael, Stephen (Laurie), Jeffrey (Christine), Gregory (Denny), his daughter Kristen Kienker, and his foster son Eric Kwok-Leung Yee (Rita). He was preceded in death by Suzannah, their son Randall, and son-in-law Dave Kienker. He delighted in his 10 grandchildren and foster grandchildren and his 15 great and great-great grandchildren, most of whom affectionately called him Bob-Bob. He will be deeply missed by his family, his friends and colleagues, and the patients he served so long and so well as their doctor. In lieu of flowers, donations can be made in Dr. Arnold's memory at Camp Sertoma Foundation or IU Foundation. 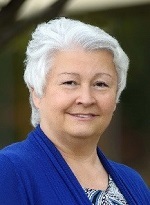 A more complete obituary and information about a future celebration of life is available at www.arnmortuary.com. 1) The lot will be open Monday – Friday between 5:00pm and 3:00am. Saturday 12:00pm – 7:00am and Sunday 12:00pm until 3:00am Monday. 2) We will be staffing the front door to assist patients in to the building when needed. In addition, if a patient is to be admitted the Emergency Department staff will work with the patient’s family and valet/security to assure the patient’s car is moved out of the lot. 3) There will be a few reserved spots for physicians in the current lot for those physicians coming in for a night shift or that are on-call. In addition, you may also use the parking ramp during off hours (night shift or coming in on-call) to assure you have easy accessibility into the building. We believe that this will have minimal impact on the availability for parking for physicians while allowing our patients parking during peak Emergency Department times. We are hoping that you will work with us during this time to assure that we can fulfill our pride value of Patients First. As we work through this change please do not hesitate to contact either one of us so that we can address any issues immediately (our cellphone numbers are below). Thank you for helping us make this a successful project. Community Town Hall – Save the Date! Join us to discuss exciting highlights at the “North Region CommYOUnity Town Hall”. Open discussion will include the Culture of Safety – “What would you like more of or less of” in creating an open environment to share safety concerns and ideas. After an extensive internal and external search, we’re pleased to share that Kim Walton, RN, MSN, CNS, has accepted the role of chief nurse executive for Ambulatory Care Services. Kim has been with the network since 1998, most recently as executive director and chief clinical officer for Behavioral Health Services. In total, she has nearly 30 years of ambulatory nursing experience, having served in both clinical and leadership positions in primary care and behavioral health settings. She completed her undergraduate nursing degree in Memphis. She completed her master’s degree in nursing at Indiana University with a specialization in child and adolescent mental health nursing. In her new role, Kim will provide operational and nursing leadership for Ambulatory Care Services, with a focus on profitable growth, market share expansion and outstanding patient and customer experiences. As a member of the ambulatory executive leadership team, she will be responsible for hardwiring clinical processes and systems for quality outcomes. She will also lead efforts on care redesign for team-based care and continue to develop the clinical workforce. Kim will transition out of her role in Behavioral Health Services over the next few weeks, and will officially start her new position on January 30. Please join us in congratulating Kim on her new role.